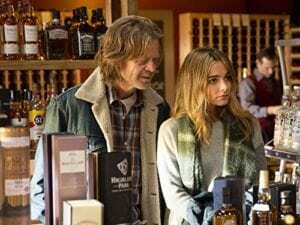 The show revolves around father Frank Gallagher whose shortcomings often put a damper on his children’s potential for success. 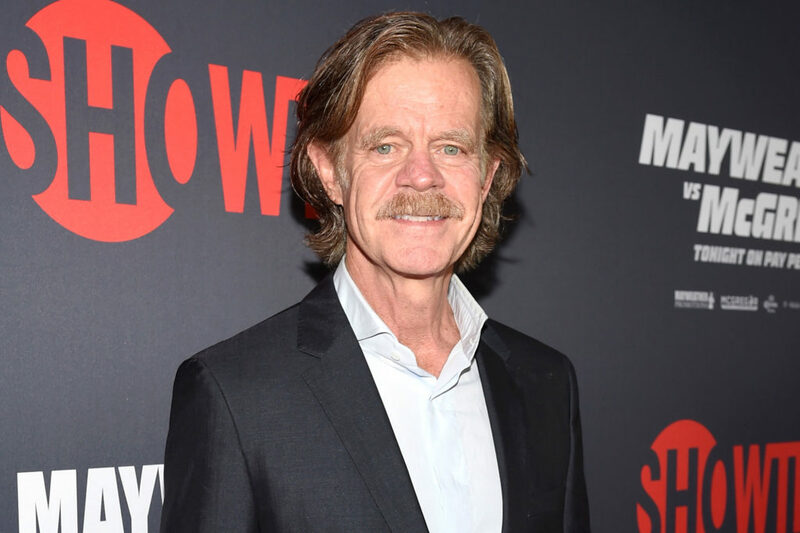 The actor behind the role is the talented William H. Macy, who has utterly transformed himself into the slovenly Frank. 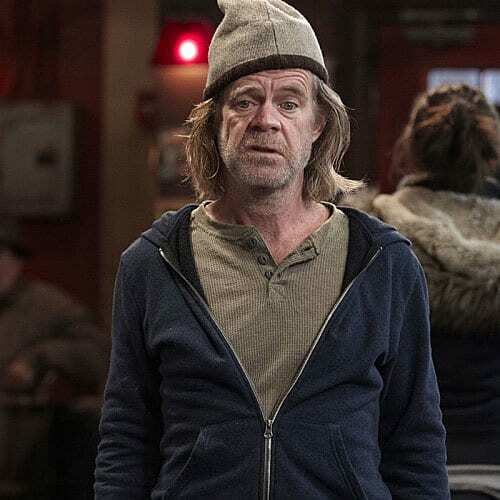 Off-screen, William H. Macy couldn’t be less like Frank Gallagher. 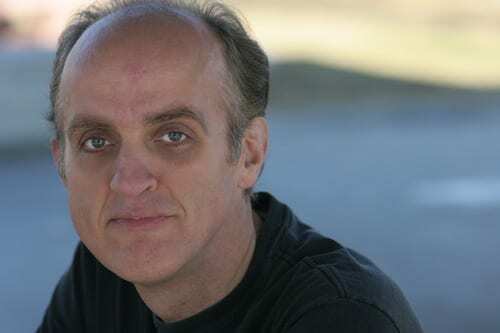 The accomplished actor has a variety of high profile credits to his name, including, George Parker in the show Pleasantville, as well as having played Jerry Lundegaard in the 1996 drama Fargo. Macy is no stranger to the Hollywood life, especially considering that his long time wife is the actress, Felicity Huffman, who he’s been with for over 20 years. Prior to his TV work, Macy was a well known stage actor. One of the most important characters in the show isn’t actually a part of the Gallagher family. Veronica Fisher, a close neighbor of the Gallagher family is portrayed by the actress Shanola Hampton. In the show, Fisher is close to Fiona Gallagher, and spends much of her screen time trying to cajole her friend into going out on the town. Like the family, Fisher’s best intentions often get derailed, as her aspiration to become a nurse did when she stole from her job. Prior to being cast as Veronica Fisher on Shamless, Shanola Hampton had already enjoyed a well established on screen career. She got her start when she was given a role on Popular, which proved to be a catalyst for bigger and better opportunities. She graduated to Flash in 2005, followed by a starring role in Miami Medical. 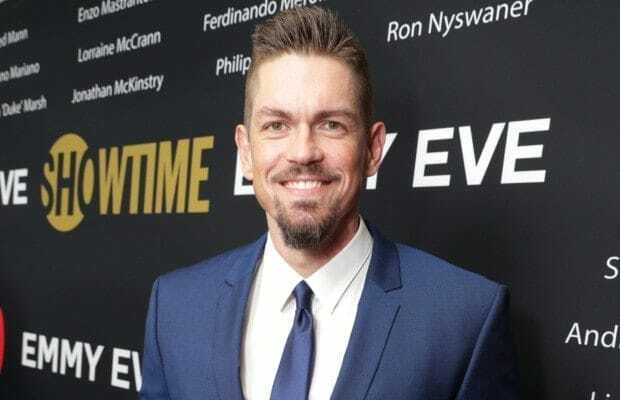 When the American adaptation of Shameless was commissioned in 2011, Hampton found herself enjoying a new level of stardom, one that is fully appreciated by her husband, Daren Duke. It may seem like the youngest siblings tend to find themselves in the most trouble. Little brother, Carl Gallagher does little to disprove the theory. The perpetually in trouble teenager often finds himself in trouble with law enforcement, and has a knack for only making his situation worse. Carl seemed to be maturing when he fell in love with Kassidi, but the union would prove disastrous in the long run, ruining all of the progress Carl had made. 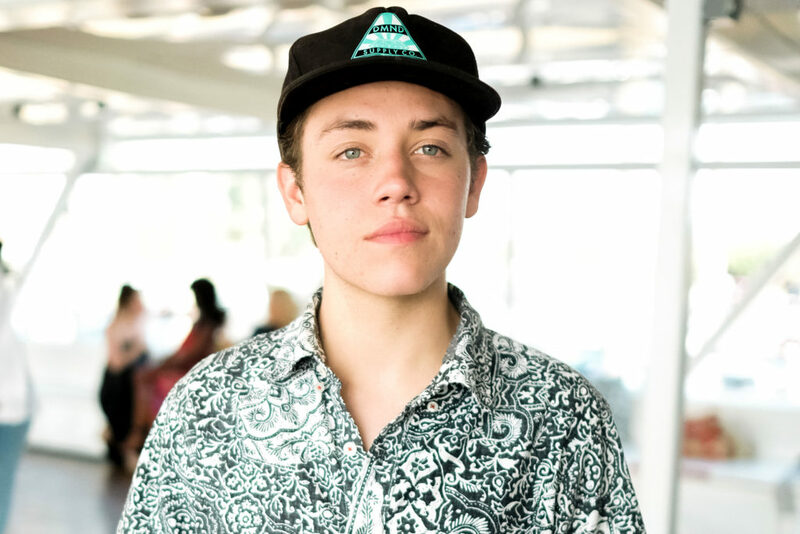 Outside of the show, Ethan Cutkosky is completely different than the character of Carl. 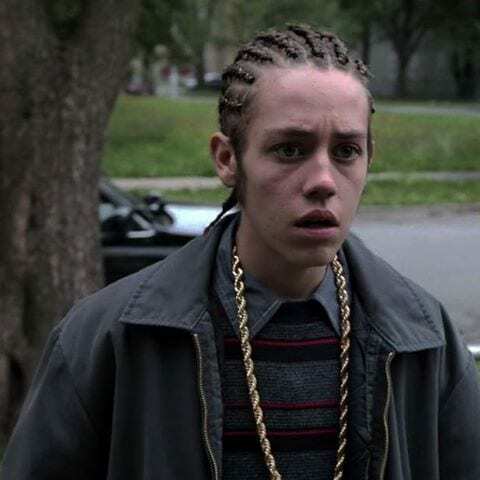 Despite his young age, Cutkosky has been in the performance industry for a long time, given that he was only four when he was first scouted as a model. His career blossomed from there, as he saw himself cast in film roles in movies like Fred Claus. When he began working on Shameless as Carl Gallagher, the teen actor was only 11 years old. 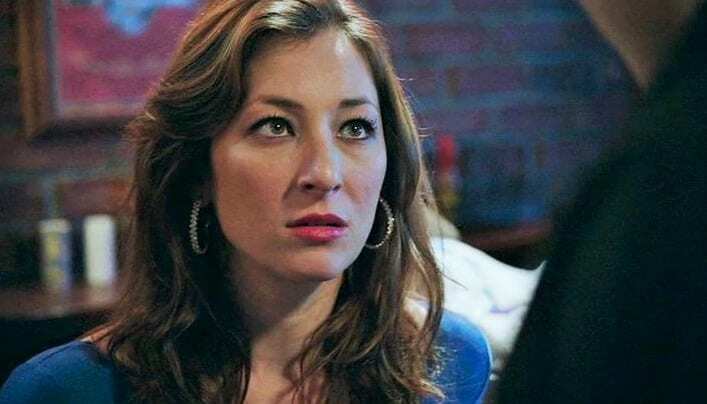 When Isidora Goreshter joined the show, she was cast as the Russian born Svetlana Yevgenivna, in order to help prove the Mickey Milkovich was attracted to women. The two hit it off, but quickly found that their union had resulted in a baby. A shotgun wedding is not an auspicious start for a marriage, especially when the two parties barely know each other, so it could hardly have come as a surprise that the couple was bound to divorce. 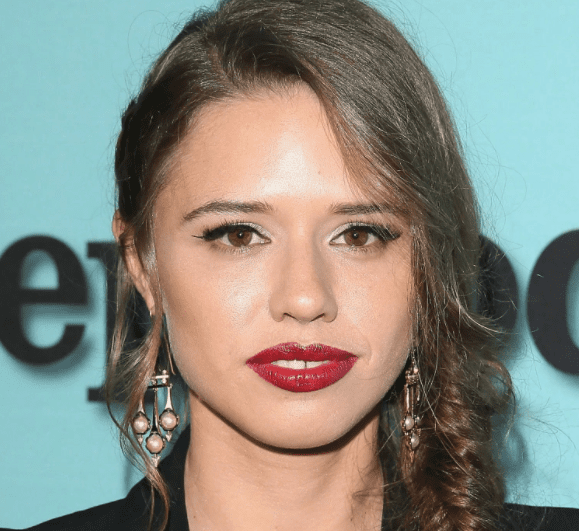 Isidora Goreshter may not be Russian herself, but she can certainly understand her character’s background given that her parents were born in the Soviet Union. Before moving into acting, Goreshter was a well rounded performer who had trained in physical art forms like ballet and gymnastics. When she finally made the career transition, she began with roles on stage. Goreshter had some notable TV arcs before being cast on Shameless, including Ben and Kate and 2 Broke Girls. An integral person in Frank Gallagher’s life is none other than Kevin Ball, his neighborhood bartender. Ball lives with his partner, Veronica Fisher, close to the Gallagher family. Kev’s biggest downfall is probably the soft spot he holds for Frank, which often continues to enable his problem with alcohol. 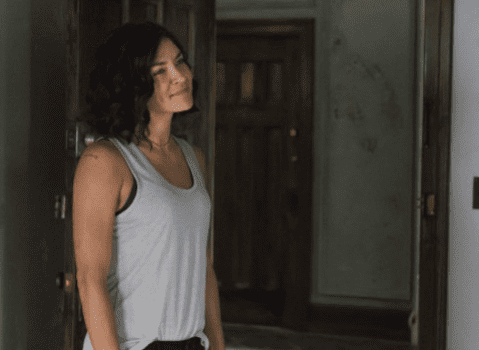 Though many characters on Shameless find their relationships to be a struggle, Kevin and Veronica are definitely an exception to the rule, as they keep their relationship going strong. 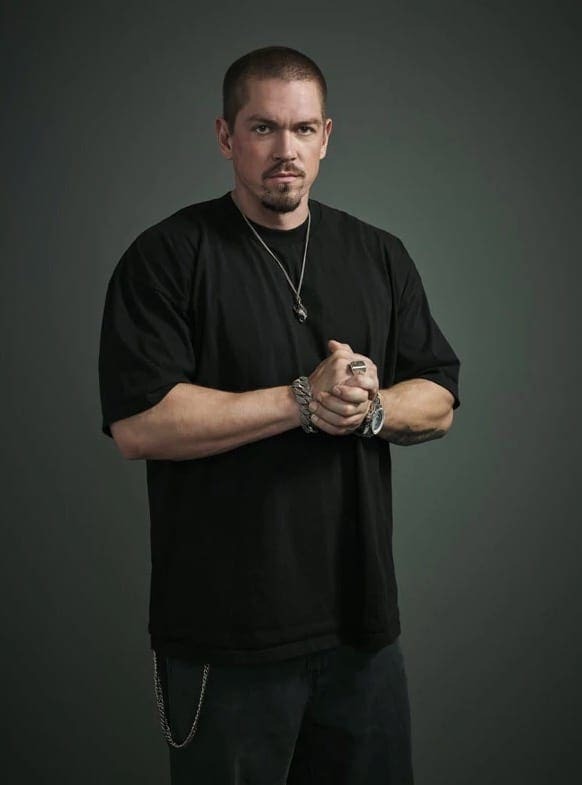 Steve Howey has been a TV regular for many years, though he’s best associated with his role in Reba, which starred country singer Reba McEntire in the title role. Howey played the jock boyfriend, Van Montgomery, of Reba’s eldest daughter. He left Reba after playing Van for six years, which gave him the opportunity to transition into film work. Some of his roles include Bride Wars and Stan Helsing. While he was portraying Kevin, he was also appearing on SEAL Team. Just because a character wasn’t introduced to audiences from the very beginning doesn’t mean that they won’t become an integral cog in the machine, which is exactly what happened with Kassidi. Sami Hanratty has fearlessly taken on the vibrant character, who has become an audience favorite given her often dramatic stunts. Her rollercoaster relationship with Carl is nothing short of thrilling, because it’s hard to know what Kassidi will come up with next, but it’s always something big. Before being cast on Shameless, Sammi was already an experienced television actress, having had roles on the show Charmed and the teen comedy, Drake & Josh. Sammi was lucky to have been given a chance to appear in various kids shows, receiving her first notable role in the hit Disney series, The Suite Life of Zach and Cody. Hanratty wasn’t limited to children’s television as a youngster, as she also made appearances in Pushing Daisies, Salem, The Unit, and The Vampire Diaries. 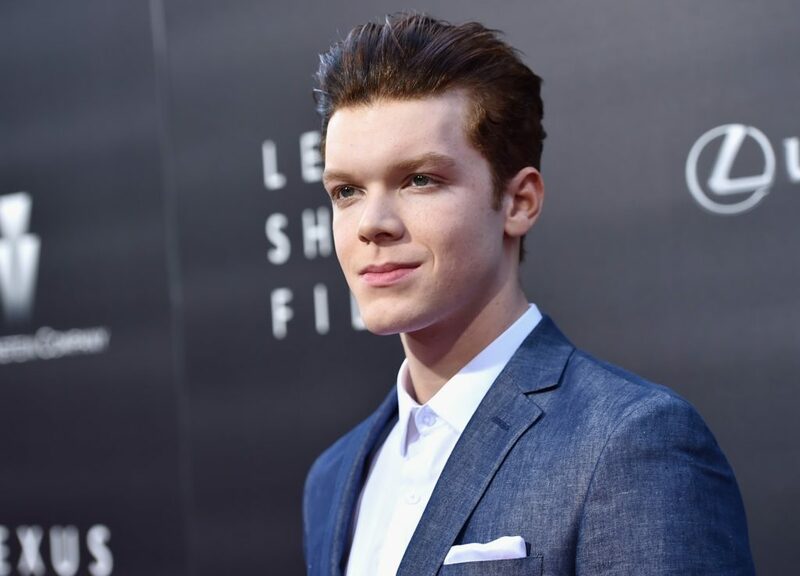 There are many personalities throughout the cast of Shameless who face their fair share of struggles, and that proves true for Ian Gallagher as well. Ian often finds himself making impulsive decisions, like dropping out of high school in order to join the military. Ian often struggles with having Bipolar Disorder, which he has yet to come to turns with, even though his manic behavior places him in increasingly precarious situations. Even so, Ian often means well. Cameron has spent most of his life in front of the camera, given that he began modeling when he was barely out of diapers. Monaghan received his first acting role by the time he was seven years old, with background roles in TV and movies. He gained more exposure for his talent when he was cast as Chad on Malcolm in the Middle. Though it wasn’t a particularly noteworthy role, it proved to be a springboard, as Monaghan found himself starring in The Giver. Though his real name might be Jimmy, this character is definitely a Jack of all trades, fitting because Jack was one of the two fake names he often used. Jimmy may have given the appearance of someone who was competent and had his life together, but in reality he was hiding a big secret. His deception became clear when his wife’s father went after him for being unfaithful to his daughter, which was the end of Jimmy’s attempted romance with Fiona. 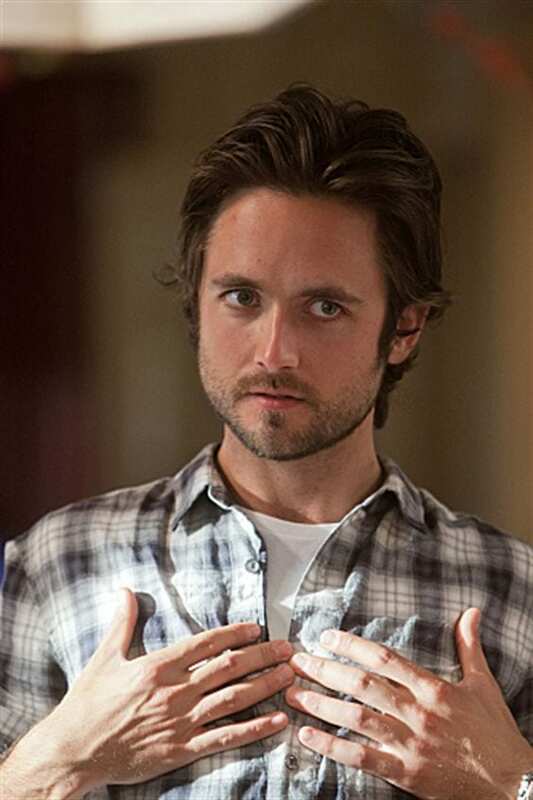 Justin Chatwin first hit the small screen when he appeared in the first episode of the hit drama, Smallville. Before being cast in Shameless, Chatwin was staying afloat with supporting roles in several well known television series, including Lost and Weeds. His big film break was in Taken, but it was Shameless that helped Chatwin gain a true fanbase. He might have left the show, but his career is ready to kick into high gear with his roles on Orphan Black and American Gothic. From the get go, it was clear that the Milkovich family was often up to no good. 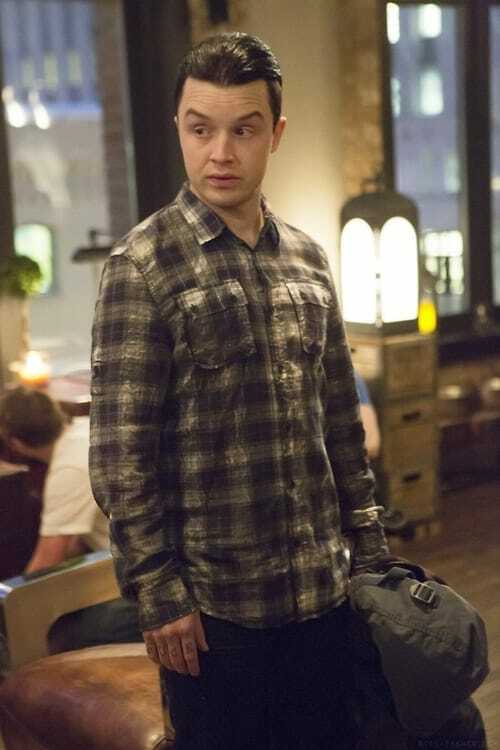 Mickey Milkovich thoroughly earned his reputation as a criminal before the start of the series. Mickey is up to no good throughout most of the series, which even includes a stint in prison. Despite his rough demeanor, there’s a softer side to Mickey, who begins a secret romance with Ian, which is thrown off when he has an affair with Svetlana that resulted in a child. 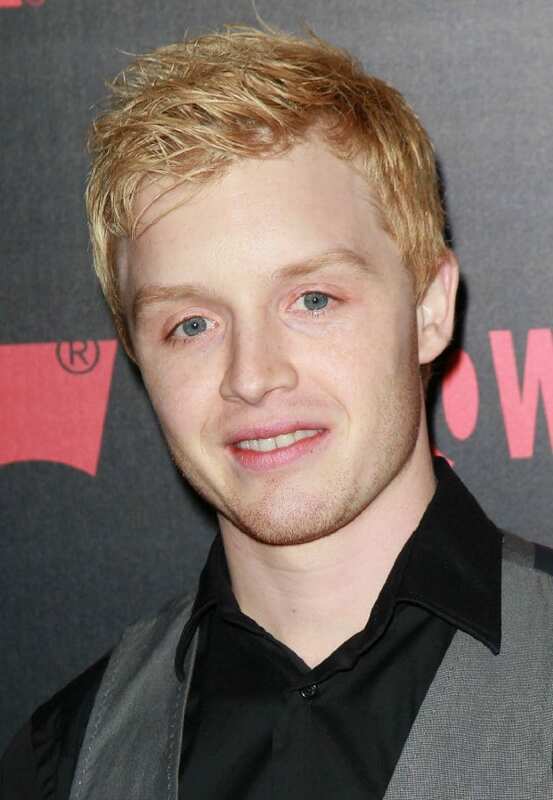 Audiences may think of Shameless as Noel’s biggest acting role, but the truth is he played a big part in the final Twilight movie. Before that, he was also in the live action film adaptations of the hit children’s show, Teenage Mutant Ninja Turtles, in which he played Michaelangelo. 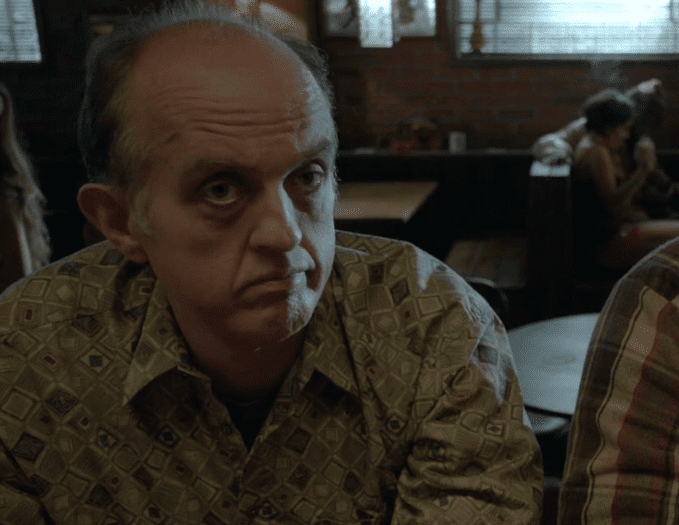 Fisher’s run on Shameless may have come to an end in 2016, but he’s continued to keep busy, starring in the 2017 TV mini series, The Long Road Home. Karen Jackson knows how to use her understated beauty in order to get what she wants in life. Karen is often depicted as manipulative, as she is constantly scheming. Even when they realize what she’s doing, the other people in her life, especially Lip, find it hard to break out of her orbit. Karen is only changed after a serious car accident, which left her with a significant amount of brain damage. In the aftermath, Karen appears to become a completely different person. 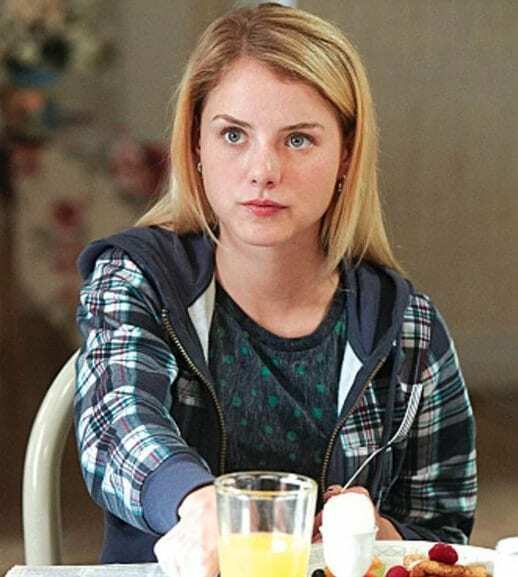 As popular as the character of Karen Jackson may be, the actress behind her, Laura Wiggins had never been on TV before she was cast in Shameless. Of course, that doesn’t mean Wiggins was a stranger to being a performer. She began her career as a singer songwriter, who released her first EP, Clementine, in 2012. It’s clear from her talent that Shameless is just a starting point for her. She’s already been seen in The Tomorrow People, as well as the movie Rings. Phillip ‘Lip’ Gallagher may be the most academically promising of the entire family, but he doesn’t always use his intelligence for good. Lip has often been caught planning elaborate schemes in order to earn money to give to the family. While he doesn’t really take part in activities that might cause harm to others, getting paid to take tests in someone’s place definitely isn’t the best idea. For all his intelligence, however, Lip tends to struggle romantically. 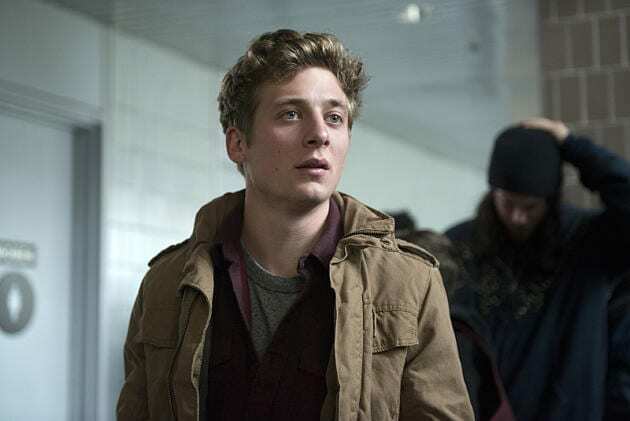 Jeremy Allen White had been hanging around Hollywood for quite a while before he finally earned a starring role on Shameless. 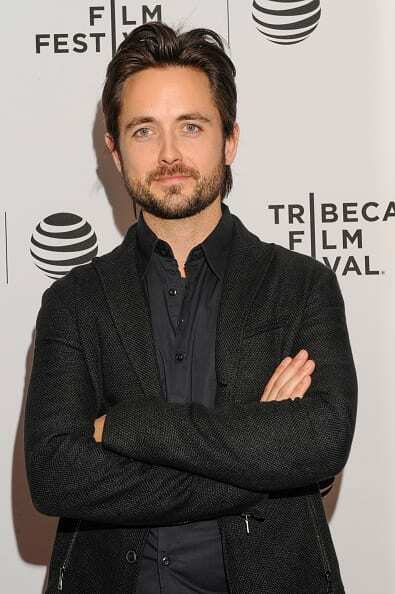 He got his start in 2006 with a role in a singular episode of the show Conviction. Like many other up and coming actors, White was soon cast in two episodes of Law & Order, which began leading to movie roles. Shortly before beginning Shameless, he acted in Afterschool and Twelve. In addition to his TV work, Jeremy will also appear in the movie, Shotgun. In order to spice up Lip’s love life, the producers of Shameless brought on an appropriate match for the young intellectual. Amanda was initially unimpressed by the challenge that Lip posed to her intellectual abilities, but in time, the two began to appreciate each other and got involved romantically. Amanda’s parents, however, were less than thrilled about the match and tried to bribe Lip to end things. He takes the money, but continues seeing Amanda, until she dumps him for being unfaithful. Amazingly, Nichole’s supportive family was happy to bring their daughter to Los Angeles in order to pursue an acting career when she was only 14 years old. Bloom starred in a short film, Every Day, which proved to be a catalyst for her onscreen career. Afterwards, she found herself booking spots on high profile series like Grey’s Anatomy and Teen Wolf. Since her arc ended on Shameless, Bloom has been acting in the TV show Superstore. Jackie Scabello might not have been on the show for very long, but she certainly had a big impact. Portrayed by Alessandra Balazs, Scabello managed to worm her way into the middle of Fiona’s love life ultimately causing her engagement to fall through. As Fiona prepared to share her happy news with the family, Jackie died from consuming too many harmful substances, which threw all of Fiona’s plans into disarray. Balazs’s time on the show might have been short, but it was certainly memorable. From her very first Hollywood acting job in 2008, it was clear that Alessandra Balasz had talent. Her television debut was in the movie Racing for Time, in which she easily impressed. Some of her other more noteworthy credits include New Amsterdam and After Lately. Balasz has worked with some big names in her short career, which include Greenberg, which was directed by Noah Baumbach and starred Ben Stiller alongside Greta Gerwig. The stunning Balasz also dabbles in modeling. There’s a reason you should often keep yourself at arms length from clients, especially when you’re their landlord. As Fiona would discover, befriending a tenant who was already causing trouble would only make it harder to ultimately kick them out, which she had to do with Nessa Chabon. Evicting Nessa and her girlfriend becomes a big headache for sympathetic Fiona, but in order to protect her own interests, it had to be done. Nessa was still a memorable Season 8 character, despite her short arc. Jessica Szohr made her name on the teen drama, Gossip Girl, on which she played Vanessa Abrams. Szohr didn’t chart a direct path from Gossip Girl to Shameless, however. In the interim, she appeared in the hilarious comedy film, Ted 2, where she played Allison, in addition to the film Two Night Stand. The same year, she appeared in several episodes of the TV show Complications. These days, she’s continued earning herself distinguished roles, given that she’s been cast in the Twin Peaks reboot. Monica Gallagher is just an integral part of the family, even if she’s divorced Frank. Complicating her relationships is her diagnosis of Bipolar Disorder, which Chloe Webb has managed to convey realistically. Monica has many regrets about how she relates to the rest of the family, but she often finds that she is her own worst enemy. Monica often finds herself dealing with severe medical issues throughout the course of the series, both psychological and neurological. Chloe Webb has been a Hollywood mainstay for many years. Prior to being cast in Shameless, Chloe Webb was most closely associate with her portrayal of Nancy Spungen in the film, Sid and Nancy. Her work in the movie helped her to continued booking roles in a number of well regarded TV series, including House, M.D. and Two and a Half Men. Webb wasn’t always interested in acting, however, as she first became interested in performance through music. Queenie Slott is one of the many women who has been romantically paired with Frank over the years. Their partnership resulted in Frank’s eldest daughter, Sammi Slott. When Queenie reappears in Frank’s life, she brings her spiritual energy into his household, as all of their old feelings for one another are rekindled. Queenie might not have stayed on because Frank asked her to, but her maternal instinct caused her to want to try and heal the family, which is one of her favorite things. It was Sherilyn Fenn’s work in Twin Peaks that put her on the map all the back in the 1990s. 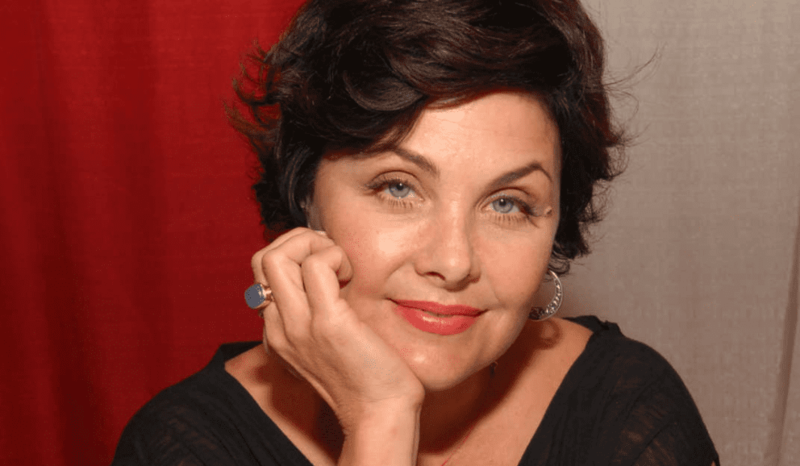 Her depiction of Audrey Horne was critically acclaimed, which earned her nominations for a Golden Globe Award and an Emmy Award. During the same period, Fenn starred in the film adaptation of Of Mice and Men, in addition to the movie Boxing Helena. Fenn had a notable arc in the later seasons of Gilmore Girls, and is returning to the reboot of Twin Peaks. Etta Teasdale may have only joined the cast of Shameless in season seven, but she quickly became a dominant force in the series. Etta is one of those neighborhood anchors, who’s been around the block more than once. The character comes into contact with the others as the proprietor of the laundromat. As the years passed by, however, the reputation of Etta’s establishment decreased, until Fiona purchased the property and began to turn things around. 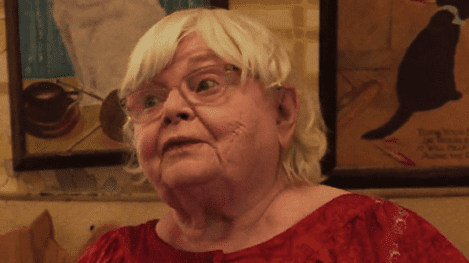 June Squibb has been in the acting game for longer than most, considering the 88 year old actress began her career in the musical Gypsy when she was a young adult in 1969. 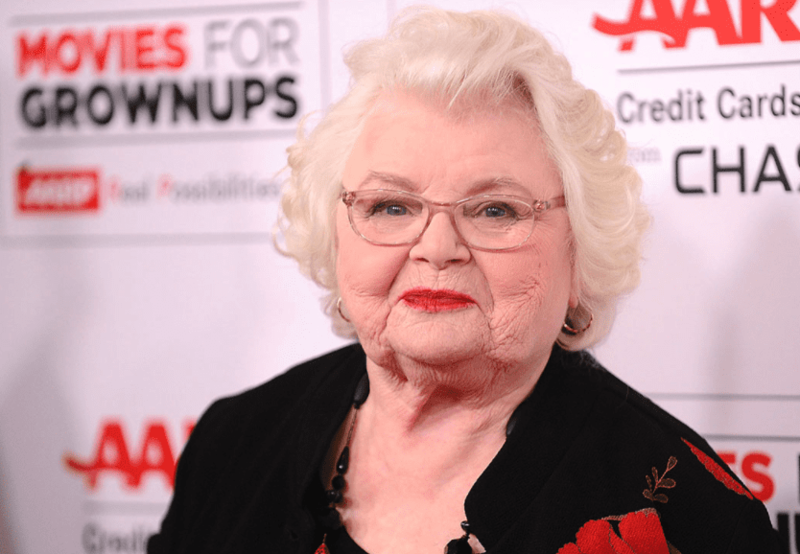 Squibb can be seen in all manner of productions, from popular comedies like The Big Bang Theory and Modern Family to more serious productions. 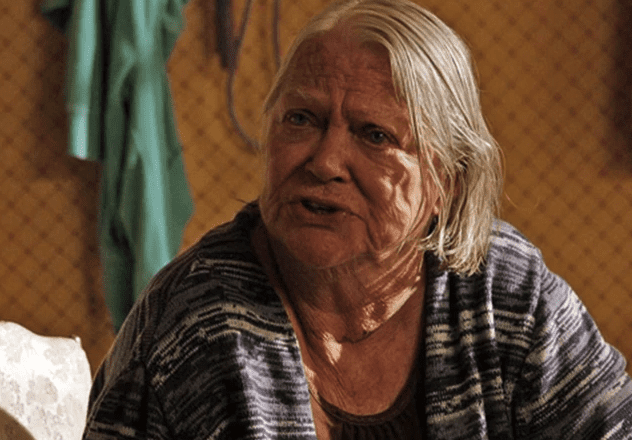 In 2013, Squibb reminded audiences of her dramatic chops when she received an Oscar nomination for the critically acclaimed film Nebraska. Shameless audiences are first introduced to Professor Helene Runyon when Lip found himself in one of her lectures after he begins attending university. The pair hit it off, in spite of their significant age difference, which causes them to engage in a whirlwind affair. Their romance comes to a crashing halt when Lip’s ex publicizes intimate photographs of the professor all over the school. Helene is asked to defend herself at a hearing, where Lip ends up declaring his love for the older woman. Sasha Alexander first hit the small screen in the hit teen centered TV show, Dawson’s Creek, in which she portrayed Gretchen Witter. Other recent roles of Alexander’s include an arc on NCIS and several appearances on the cooking show, Dinner at Tiffani’s. 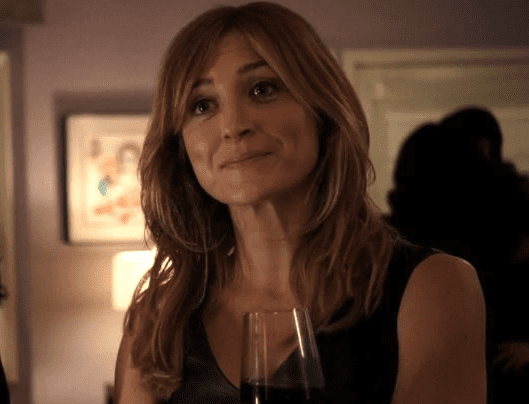 Alexander is also one of the stars of the show, Rizzoli & Isles, where she played detective Maura Isles. Alexander has some fashionable ties, given that her husband, Edoardo Ponti, was born to the fashion icon, Sophia Loren. If audiences had ever wondered how Frank ended up on the precipitous path that he’s on, they only need look to his mother Peg. When she is first introduced on the show, Peg Gallagher was in the middle of a prison sentence, which she manages to cut short by claiming it was significantly affecting her health. Once released, Peg was far from returning to the straight and narrow. She may not be the best role model, but she always puts her grandchildren first. 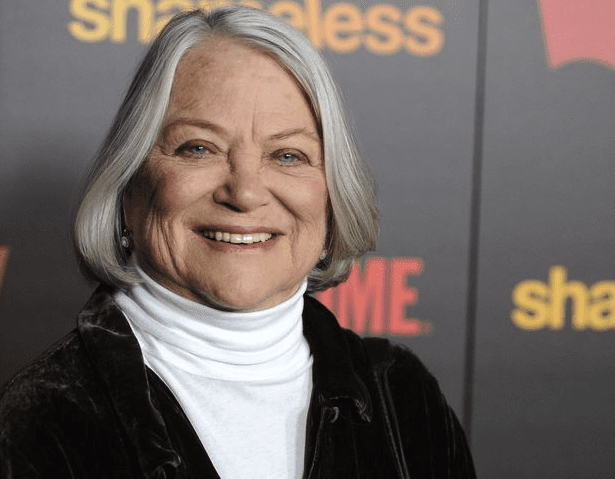 Louise Fletcher has some weighty acting credits on her resume, starting with Stanley Kubrick’s One Flew Over the Cuckoo’s Nest, in which she starred opposite of the incredible Jack Nicholson. The film helped Fletcher gain exposure by awarding her with nominations for both the Academy Award and the Golden Globe. Fletcher has taken part in a number of other well regarded film projects, including Cruel Intentions and the horror flick, Exorcist II: The Herectic. More recently, she was in Star Trek: Deep Space Nine. Far from being a lone wolf when he goes drinking, Frank has a handful of companions when he heads out for a tipple at the local watering hole, The Alibi Room. One of Frank’s closest buddies is Kermit, who is none too pleased about the namesake he’s most frequently associated with. The men feel free to be honest with one another, even if they might not like the advice the other gives, but that’s exactly what makes their friendship so strong. Jim Hoffmaster has been working his way around the television circuit for some time now, with a number of high profile roles in other hit shows. Most notably, he was a key cast member of the Emmy nominated show, Castle, in addition to a character arc on The Mentalist in 2008. After many years in the business, Jim is happy to let his career begin to wind down, though that doesn’t mean he’s ready to retire yet. Hoffmaster is hilariously documenting this change on Twitter. Before Frank had fathered his brood with his ex-wife, Monica Gallagher, his old flame Queenie had given birth to his first daughter, Sammi. Sammi took on a prominent role in the fourth and fifth seasons of the show, when she met Frank for the first time. Frank was unaware until that point that he had another child, but fitting in with the rest of the Gallagher’s did not come easily for Sammi, even though she tried her hardest to step in and help Frank. Emily Bergl boasts an extensive acting resume that stretches back many years before Shameless was on the air. Her big break came when she was cast in The Rage: Carrie 2, a horror film that piggybacks off of the 1970s cult classic, Carrie. From there, Bergl began receiving calls for guest spots in other hit shows that run during the early 2000s, like Men in Trees, Desperate Housewives, and Southland. Bergl also branched out and toured with a cabaret titled Kidding on the Square. Beginning in season five, Frank seeks out the expertise of Dr. Bianca Samson, who he meets in he course of rehabilitation from a gunshot wound. Samson ends up sticking around the Gallagher family, even after receiving a serious cancer diagnosis. Though Samson is encouraged to get medical care, instead she becomes romantically involved with Frank. Samson feels like her career has been a lie given the state of her health, so she moves to Costa Rica to live out the rest of her days. Bojana Novakovic hails from Australia, which is also where she started her acting career, when she was cast in the miniseries, Marking Time. Her other better known early films is Devil and the Little Death. She has appeared opposite other A-listers, like Keanu Reeves, who starred in Generation Um… with her. Novakovic also worked with Mel Gibson on the movie Edge of Darkness. Recently, Bojana had a role in I, Tonya, and is currently featured as Lizzie Needham in Instinct. The eldest child in the Gallagher clan, Fiona, often finds herself more than carrying her weight in the family. Given that she’s the oldest, she played a hand in raising her younger siblings, and found herself responsible for paying many of the family’s bills when she was hardly an adult. Despite the challenges that are constantly being thrown at her, Fiona has managed to hold her family together and make savvy business decisions that keep their finances from pulling them entirely underwater. 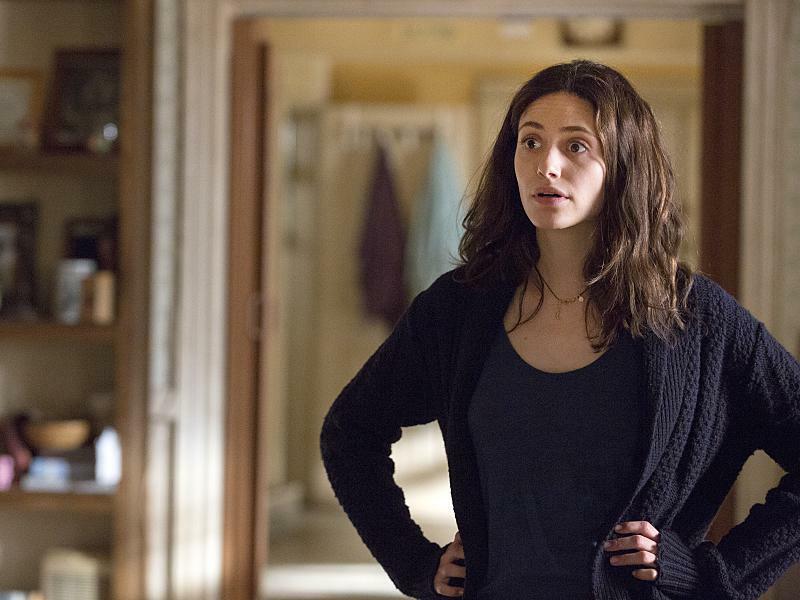 Emmy Rossum began performing as a child when she was chosen for a classical children’s choir. Her first major film role was in the award winning drama, Mystic River, which was released in 2003. It was her background as a classical singer that helped Emmy get her next big role, as the ingenue in the film adaptation of Andrew Lloyd Webber’s pop opera, Phantom of the Opera. Even while she is busy working on Shameless, Emmy has found the time to appear in a number of films. 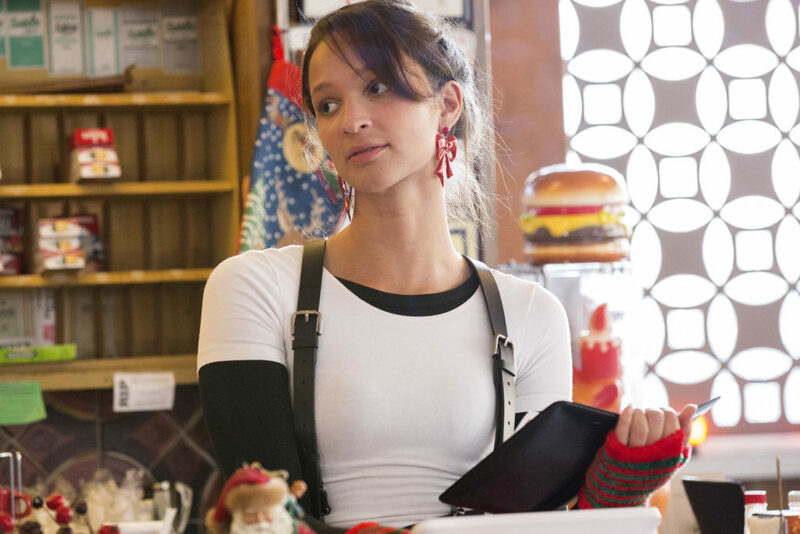 Sierra Morton may be one of the newest characters on Shameless, but she’s quickly become a fan favorite since her season seven introduction. Morton joined the cast as a new hiree at Fiona’s cafe, Patsy’s Pie. Sierra soon begins a relationship with another Patsy’s employee, but she makes it clear that she isn’t there for anything serious. Sierra finds romantic entanglements difficult given that she has a child, whose father often causes her trouble. Despite Ruby Modine’s young age, she has already been distinguishing herself onscreen. She received her first film role in 2012, appearing in a number of short projects. She began working on television in 2014 when she was cast in an episode of the show Episodic. Modine continued booking roles, until she was cast on Shameless, which has finally allowed her the space to really demonstrate her talent. Modine is another cast member who is also interested in a music career. Shameless may have its fair share of troubled characters, but Mandy Milkovich may be the most disruptive of all of them. Ever the rebel, Mandy was brought onto as a fellow classmate in Ian’s school. As Mandy’s story arc progressed, it became obvious that she was more than just a rebel. Mandy even went so far as to pretend to be Ian’s girlfriend upon his request, in order to help him hide his true sexuality. Emma Greenwell is another Shameless actress who made her onscreen debut in 2012. Her first role was a short arc on the hit drama, True Blood. Shortly after her performance on True Blood aired, Emma was cast as Mandy in Shameless, which she worked on on top of several bit parts in other projects. Greenwell played Mandy until 2016, at which time she decided to further her develop her career by expanding her resume. She is now starring in the show The Path as Mary Cox. When Emma Kenney first began playing Debbie Gallagher, one of the youngest Gallagher children, she was only a preteen. Kenney brings a relatable air to the sweet natured Debbie, who always believes that her family’s situation has the potential to improve, even if all of the evidence points to the contrary. Debbie’s optimism has caused her to get taken advantage of more than once, which eventually led to her becoming a teen mom, with no help from the father of her child. 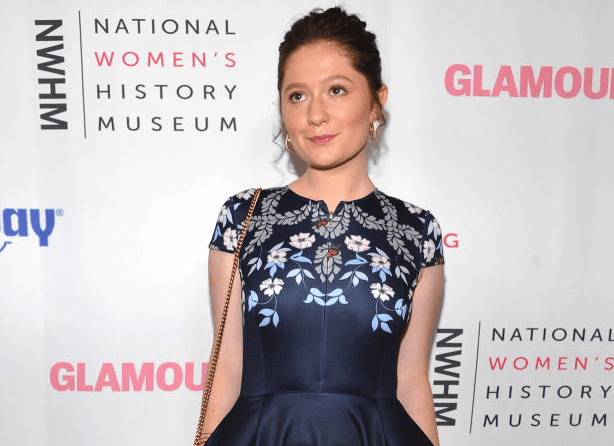 Emma Kenney’s career began at a young age, as she found work in commercials, while living with her parents in her home state of New Jersey. Some of the advertisements she was featured in included a big campaign for Scholastic Books. Her career opportunities expanded again when she was nine years old, culminating in being cast as Debbie Gallagher at 12. Though she is only 18, Emma Kenney’s career prospects continue to look bright, as she was cast on the new version of Roseanne. During the fourth and fifth seasons, Holly Herkimer became a prominent character on Shameless. Holly, of course, wasn’t the best influence on her friend Debbie, especially given that she often gave Debbie bad advice. Holly had been interested in Debbie’s older brother Lip, but he never really gave her a second thought. Lip’s rejection pushed Holly into running away, but when she finally returned, her community didn’t approve of what she’d been doing in order to earn money. Danika Yarosh was no stranger to the camera when she was cast on Shameless, having been another child actor who signed onto the show. When she was only five, Yarosh was an extra in The Stepford Wives, which starred Nicole Kidman. Yarosh continued booking roles whenever a child was needed in shows like Law & Order: Special Victims Unit and 30 Rock. After her arc in Shameless concluded, Yarosh moved on to a role in the show Heroes Reborn.